The climate movement is about to take a giant step forward: The EPA has proposed the first national standard to limit carbon pollution. This is exciting: And we have a petition for you to show your support. Carbon pollution is causing the climate crisis. That weird, dirty weather you’ve been having – blame carbon pollution. Where does this pollution come from? The answer is simple: 40% of all carbon pollution in the United States comes from power plants. If this rule goes into effect, no new dirty, climate-change-causing power plants will be built. Tell Governer O'Malley to Strengthen Regulations to Protect the Bay! I just contacted Governor O'Malley and asked him to strengthen regulations to protect the Bay from agricultural waste. Food & Water Watch recently released emails that revealed an alarmingly close relationship between Governor O'Malley and Perdue's general counsel, Herb Frerichs. It seems that O'Malley has been letting Frerichs's influence shape his environmental policy, leading to a very lax approach to dealing with agricultural waste. Please join me in telling Governor O'Malley to stop pandering to the chicken industry by directing the Maryland Department of Agriculture to strengthen its regulations. Lawmakers with the Congressional Sportsmen's Caucus have introduced the misguided Sportsmen's Heritage Act of 2012 that would perpetuate the lead poisoning of wildlife like bald eagles, condors and swans. It would prevent the Environmental Protection Agency from enforcing federal regulations that control toxic substances and protect wildlife and people. The bill ignores the mountain of scientific evidence that lead ammunition and fishing tackle cause the poisoning of at least 130 animal species. It's being pushed by powerful gun lobby groups like the National Rifle Association, and it writes off the health of low-income venison donation beneficiaries and 10 million hunters and their families who will remain at risk of lead exposure. More than 150 organizations in 38 states have called on the EPA to regulate toxic lead in ammunition and fishing gear under the Toxic Substances Control Act, which would prevent millions of birds and other wildlife from slow, painful deaths each year. Take action now and help us stop the NRA's toxic legislation by contacting your representatives -- ask them to oppose this deadly legislation. Our internet is at risk, and I need you to join me in protecting it. Right now, a closed UN institution, the International Telecommunications Union, is seeking to reverse decades of precedent and give governments greater control over the internet. That means that the internet that you and I have come to love -- the one that has flourished over the years because it's decentralized and open -- is being threatened. Should war profiteering corporations like drone manufacturer Northrop Grumman be permitted to secretly fund elections? Of course not. But that’s just one of the scarier implications of S. 1100, an appalling bill passed by the Senate Homeland Security committee that would prevent the government from requiring federal contractors to disclose money they’re spending to influence elections. Let's fight this corporate corruption loophole. The Wall Street Journal is reporting today that the Obama administration plans to arm Italy's fleet of Reaper drone aircraft, a move that would open the door for sales of advanced hunter-killer drone technology to other countries. 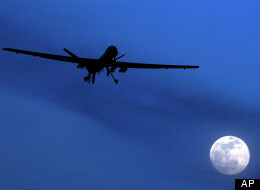 Obama's decision to provide the advanced hunter-killer drone technology for Italy's unarmed drones will make it hard for the US to deny the same technology to others, and set back efforts to urge sales limitations on other nations that are marketing sophisticated hunter-killer drones such as Israel. At least eight members of an Afghan family have been killed, including six children, after an airstrike by the US-led NATO coalition in Afghanistan. The missiles hit late Saturday night in the eastern province of Paktia, according to officials. WASHINGTON DC OR BUST LABOR DAY WEEKEND!!! The Million Gulfers March @ http://www.facebook.com/group.php?gid=139349099409447 IT TAKES A LOT OF SPOKES TO FORM A STRONG WHEEL THAT WILL TAKE US ALL THE WAY TO WASHINGTON DC UNIFIED. PASS THE WORD! http://proclus-gnu-darwin.posterous.com/join-the-movement-to-separate-oil-and-state No More Oily Congress! GNU-Darwin joins Oil Change International in the movement to Separate Oil and State. Write your Representatives to demand that they stop taking cash from and giving cash to the oil industry. Go to http://priceofoil.org/action and join us! BP Boycott: Wear black like the poor birds and fishes. Michael L. Love: ZooLoo Graffiti, a favorite social networking tool, multibanding on proclus on Greenpeace USA Blog: http://ping.fm/ziNq4 : There is definitely a deepening activist dimension in the latest wave of social media and networking. I am calling this multibanding, and it is an extremely powerful communication tool for broadcasting information. If you are not yet aware of these facts, you might want to read my latest article. packages and ports directories, including the current alpha for Darwin-8 and above. This package set is the basis of the GNU-Darwin Molecules machine, so that it is heavily tested. If you try it, please send a report, so that we can move it to beta and release. All suggestions welcome. Some experimentation following on the demise of ping.fm. Sorry for the inconvenience. This should be the last one. A US drone attack in northwest Pakistan, reported to have killed at least 10 people, hit a small village mosque sources reports Channel 4 News Foreign Editor Ben de Pear. "The single biggest act of civil disobedience in Canadian history." That's how yesterday's Montreal protest is being described today. Hundreds of thousands red-shirted demonstrators defied Quebec's new "anti-protest" law and marched through the streets of downtown Montreal filling the city with "rivers of red." Michael wants you to take action on "Alaska's Wildlife at Risk"! Hi, I signed the petition "Alaska's Wildlife at Risk". I'm asking you to sign this petition to help us reach our goal of 30,000 signatures. I care deeply about this cause, and I hope you will support our efforts. MarylMaryland Green Party lost ballot access, and needs more sigs. Please consider a contribution.and Green Party lost ballot access, and needs more sigs. Please consider a contribution. Maryland Green Party lost ballot access, and needs more sigs. Please consider a contribution. To protect hibernating bats from the potential spread of white-nose syndrome, the fast-moving fungal disease that has killed nearly 7 million bats in the eastern United States, the U.S. Forest Service has kept caves closed in the Rocky Mountain Region for two years to all but the most essential human access. Now, with the policy up for renewal, the Forest Service is considering weakening protections for bats, increasing the risk of cave visitors bringing the disease into the caves. Nationwide the loss of bats could mean exploding populations of insects no longer kept in check by these furry, fly-by-night mammals. Scientists have estimated that by keeping insect pests at bay and reducing the need for pesticides, bats are worth $22 billion annually to American farmers. In Colorado, these savings could reach $430 million per year; in South Dakota, $1.1 billion. While bats are dying at rates topping 90 percent in some areas, and some species could face extinction, the risk to western bats and farmers is too great to justify easing restrictions for discretionary cave uses like recreation. Please take action today to send a message to the Forest Service and express your support for maintaining the current, responsible management policy. Blog title...Stop Wall Street banks from gambling with our money. End Corporate Welfare for Polluters! Corporate polluters receive billions of our tax dollars each year in welfare, and what do we get? Pollution, oil spills and a bank account running in the red. Two members of Congress are saying, "Thanks but no thanks" to this wasteful use of our money and are proposing to end all subsidies and tax breaks to the fossil fuel industry -- saving us $113 billion. Sen. Bernie Sanders and Rep. Keith Ellison have proposed legislation to end this waste. Sign here to join as a citizen co-sponsor of their bills to end $113 billion in taxpayer giveaways to the fossil fuel industry. It's not like they need our money. The oil, gas and coal industries are among the most profitable on the planet, making tens of billions in profit every fiscal quarter. Meanwhile, Congress is cutting crucial health and education programs that millions of needy Americans depend on -- programs that could use some of that $113 billion now lining the walls of some corporate oil company's yacht. Energy subsidies should be focused on clean, green energy sources like wind and solar, which don't damage the environment and threaten our future with global warming. Sanders' and Ellison's bills are a great opportunity to end welfare for corporate polluters. Will you join me today and show Congress that America wants to end this waste? Michael wants you to take action on "Let Expelled Bullied Gay Teen Return to School!"! Michael Love has just read and signed the petition: Let Expelled Bullied Gay Teen Return to School! Hi, I signed the petition "Let Expelled Bullied Gay Teen Return to School!". I'm asking you to sign this petition to help us reach our goal of 10,000 signatures. I care deeply about this cause, and I hope you will support our efforts. In response to work by the Center for Biological Diversity and our partners, the U.S. Fish and Wildlife Service has proposed more than 375,000 acres of protected critical habitat for mountain caribou in northern Idaho and northeastern Washington -- a victory for these rare alpine animals, but not a complete one. Caribou once ranged across the upper Midwest and Northeast, but the northern Rocky Mountains are now their last stronghold in the contiguous United States. The proposed protected habitat should be expanded to include areas where the caribou formerly ranged. Please write to the U.S. Fish and Wildlife Service and voice your support for protecting more of the caribou's last habitat in the lower 48. I just sent an email to the head of the Illinois National Guard urging him not to activate his troops against peaceful protesters, including Iraq and Afghanistan veterans who will be marching at the NATO summit on May 20. Iraq and Afghanistan Veterans Against the War are joining with thousands to nonviolently demonstrate against NATO's 11-year war in Afghanistan and for rebuilding our communities here at home. Veterans participating in the march will be ceremoniously turning in their medals to NATO generals at the end of the march. Join me in urging Major General Enyart of the Illinois National Guard to ensure that his soldiers stand down in solidarity with the peaceful NATO summit protest by sending him an email: org2.democracyinaction.org/o/5966/p/dia/action/public/?action_KEY=10650. Hundreds of thousands of public sector workers are taking part in a UK-wide strike to protest proposed government austerity that has taken aim at their pensions and benefits. Expectations were that between 250,000 and 400,000 people would take to the streets, including off-duty police officers, public health workers, and university employees. The strike is the latest in a series since the Conservative-Liberal Democrat coalition came to power two years ago and reveals that anger over public sector cuts is far from over. benefits from Social Security, Medicare, and Medicaid. of families rely on -- slashed in the process. any reason. Leader Pelosi must stand up for these crucial programs. Fortunately, the timing is on our side -- in weeks Dilma will host the worldâ€™s biggest environmental summit and insiders say she cannot afford to open it as the leader who approved the destruction of the rainforest. Sheâ€™s facing mounting domestic pressure -- 79% of Brazilians rejecting this new bill Now, let's turn up the global heat and push her to axe the bill, not the rainforest. The Amazon is vital to life on earth -- 20% of our oxygen comes from this magnificent rainforest, and it plays a key role in mitigating global climate change. Over the last decade, Brazil has vastly reduced deforestation rates, achieving a 78% decline between 2004 and 2011. The reason? A world-acclaimed forestry law, strong enforcement and satellite monitoring. But this dangerous new bill would open up an area the size of France and Britain combined to clear-cutting and gives loggers amnesty for all past deforestation crimes. This would not only spark total forest devastation in Brazil, it would also set a bad precedent for other countries. Thatâ€™s why itâ€™s so crucial that we all protect it. Brazil is a rapidly developing country, battling to lift tens of millions out of poverty. Despite evidence that growth does not require deforestation, Dilma is under pressure from the powerful agricultural lobby that helped her get elected to cut down rainforest for profit. And it is an ugly battle -- activists are being murdered, intimidated and silenced. But ex-Environmental Ministers and people across Brazil have sent a clear message to Dilma that they want to save the Amazon. Now, itâ€™s up to all of us to stand with them and urge President Dilma to remain strong. In the last three years, we have won battle after battle against the odds. Now, letâ€™s come together to stop the destruction of the Amazon, protect our planet and herald Dilma as a true international environmental leader. Tell the Senate: Stop the online spying bills. We need to speak out to stop the Senate from greatly expanding the power of the federal government and big corporations to spy on us as we use the Internet. The House has already passed "Cyber Intelligence Sharing and Protection Act" (CISPA), a horrible bill that shreds our online civil liberties. Supporters of CISPA cynically used the legitimate need to protect our vital national interests from cyber attacks as an excuse to give the government and private companies the authority to read, watch and listen to everything we do on the Internet. Now the fight moves to the Senate, where several CISPA-like bills are under consideration. I just signed a petition telling the Senate to stop the online spying bills. I hope you do, too. Share this with the people in your email address book by clicking the button below. Greenpeace has obtained pictures that show garbage bags full of dead sea turtles, dolphins struggling to hold on for life in the poisoned water and sperm whales swimming through a sheen of oil. What else about the Gulf disaster is the White House and Big Oil hiding from the public before they finish the settlement? Join me and take action by demanding that the White House publicly release everything they have around the Gulf disaster, make BP pay what they owe and put a stop to ALL new offshore drilling before it’s too late. Did you hear that #Pakistan's people are upset at Hilary Clinton? Germany has rejected the gas drilling practice known as fracking, Spiegel reports today. Blog title...Tell the FCC: Enforce the law. Revoke the broadcast licenses held by Rupert Murdoch's media empire. FOX News' parent company, News Corporation, is embroiled in a phone hacking scandal that has shone a spotlight on the detestable practices its owner, Rupert Murdoch, promotes as journalism. And now a committee in the UK parliament has issued a report blasting both Rupert Murdoch and his son James (also an executive at News Corp.) for their complicity in the scandal, concluding that Rupert Murdoch is "not a fit person to exercise stewardship of a major international company." It's time for the FCC to take action. The law requires that the FCC consider the "character" of media owners when deciding whether to grant, deny or revoke a broadcast license. I just signed a petition telling the FCC to enforce the law and revoke the broadcast licenses held by Rupert Murdoch's media empire. I hope you do, too. You can find out more information and easily sign the petition at the link below. On the one year anniversary of Osama bin Laden's death, President Obama made a surprise visit to Afghanistan. There he announced that we signed a Strategic Partnership Agreement with the Afghanistan government, and reiterated his plan to gradually draw-down our forces, ending the war in 2014. We're always glad to hear the President talk about ending the war, instead of expanding it — as Mitt Romney and the right wing Republicans would have it. But the end of 2014 is not soon enough. At a time when we are forced to make tough sacrifices at home — we simply cannot afford to spend more blood and treasure in Afghanistan. It's time to end America's longest war now. Will you sign our petition calling on Congress to bring our troops home to safety and end the war now? Recently Obama came under fire from Republicans who called his withdrawal timeline an "arbitrary deadline." But it certainly isn't arbitrary to the thousands of families waiting for their sons and daughters to come home, out of harm's way. And a recent Washington Post/ABC News poll shows a majority of Americans agree, with 60 percent of Americans who favor bringing our troops home sooner, rather than later. Setting a specific timeline shows bold leadership on Obama's part and is a strong contrast to that of Mitt Romney who said he would not set a withdrawal timeline for Afghanistan — instead calling for an open ended combat commitment in Afghanistan, a never ending war. But every day we stay there, more money and more lives are lost. Why wait till 2014? We need to end the war in Afghanistan NOW. Last night the President said, "this time of war began in Afghanistan, and this is where it will end." We couldn't agree more - click here to tell Congress we can't wait, it's time to end the war NOW. Very happy to join Occupy Baltimore on MayDay. No "get out of jail free" card for Wall Street bankers. If the financial crimes task force President Obama announced in his State of the Union speech doesn't hand down criminal indictments soon, we might never see Wall Street bankers held accountable for causing the worst economic collapse since the Great Depression. So it is deeply worrying that Congressman Brad Miller, who has been a real advocate for Wall Street accountability, recently said he was told months ago by the office of New York Attorney General Eric Schneiderman, one of the task force's five co-chairs, not to expect criminal indictments from the task force. If we want to see criminal Wall Street bankers behind bars, we must insist that President Obama and the co-chairs of the financial fraud task force do not take criminal prosecutions off the table. I just signed a petition to them about this, and I hope you do as well. There's more information and an easy way to sign the petition at the link below.